Do you wish to Study in Australia? “As more and more people look to give themselves the skills required in a competitive global environment, study in Australia has become one of the most sought after in the world. Here, you’ll find teaching of internationally renowned quality, matched with one of the world’s finest student support systems, and a superb living environment. It’s no wonder then, that more than 600,000 international students, from over 200 countries, come to study in Australia every year. And why, when they’ve finished their education, they leave with globally recognised skills – and a future that’s truly limitless. Australia offers international students a high quality education in a safe and welcoming environment. International students have been enrolled in Australian schools since the 1950s. According to an AEI research snapshot, in 2011 there were 23,973 international student enrolments in the schools sector. Australian school education offers the opportunity for students to develop life skills in a positive and outgoing environment. Importance is given to personal development as well as academic studies. Schools in Australia take great care in looking after their international students, helping them to adjust to the Australian way of life. The multicultural nature of Australian society means international students are readily accepted by other students. Teachers are experienced in teaching classes to students from many different countries and cultures. Some schools and colleges cater exclusively for international students, whereas others have long traditions of student exchange with other international schools. In many cases students are able to maintain and develop their own language skills as well as become proficient in the English language. There is no better country all around the world than Australia, where you can gain quality education while enjoying great lifestyle. What makes Australia the perfect choice to uplift your skills? We can help you with all the aspects of choosing the right career path. Please do not hesitate to contact us if your dream is to study in Australia. 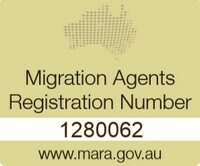 Migration-agent.com has also qualified Australian Education Advisors. If you are planning on studying in Australia, contact us to evaluate your Australian study options. We can assist in your course choice, registration and student visa application where applicable. Processing an Australian Student Visa might look to be relatively straightforward, however choosing your course is not only critical to your future career path, it could be critical to any potential plans you have to migrate to Australia. It should be noted that DIAC advise when they issue an Australian student visa that the intention to come to Australia is to study. In the other hand you can change your mind and decide to stay in Australia indefinitely after commencement of your study. Upon arrival to Australia pick up from airport. In case of standard visa application most of these options are for free. We do cooperate with a lot of different schools all around Australia, and will happily help to get you enrolled in one of your preferred schools. Each state has a Vocational Education and Training (VET) or Technical and Further Education (TAFE) system. VET prepares people for work in a career that does not need a university degree. Each state manages their system and meets at a national level to coordinate their effort. VET is transferable between all states. Study done in one state gains the same status in another state. Typically, a VET/TAFE course takes two years of study. The national government provides the funding for universities in all the states. Each is independent in its governance. They set their courses and course content. A professional body must endorse a course for it to run. Typically, a university course takes three or four years of study. In the work place employers use agreed courses and outcomes to set standards of training for employment. Many parts of industry and business provide ongoing work place training for their employees. Some of this training can count towards a qualification. People who are educated overseas can gain recognition of their training. This may help them to get employment.